The bassoon reeds with independent cases enhances the effect while playing, and the independent package gets you convenient to carry it out. Great accessory for bassoon. 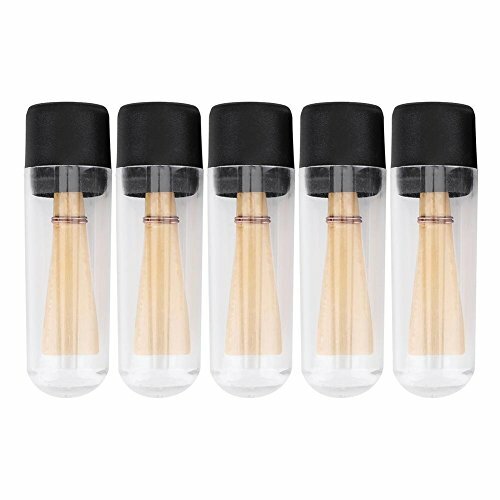 【5 Packs】This set has a total of 5 bassoon reed to meet your different needs. 【Premium Material】These bassoon reeds are made of qualified bamboo stripe, the bassoon reeds are durable and sturdy, enhancing the effect when playing. 【Manually Selected Reed】The manually selected reed fine cane that will produce dark, rich sound with good intonation and nice response! 【Professional Quality】A professional Quality bassoon reeds can help you play better, and it has affordable prices, you're worth it. 【Convenient Package】 The each bassoon reed with independent package makes it convenient for you to carry anywhere.